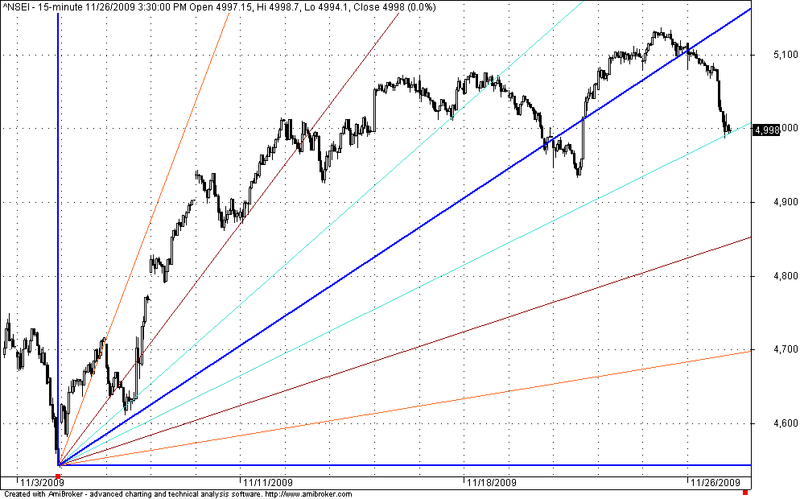 Now once again GANN nears the support zone at 4998 and the next level of support zone at 4850 and 4700. So What could be the ideal trade? The Ideal trade is to hold the shorts if nifty dips below 4998 at opening. thanx by visiting this site i realise that i have learnt nothing till days as i seen some practical implimentation of gann.